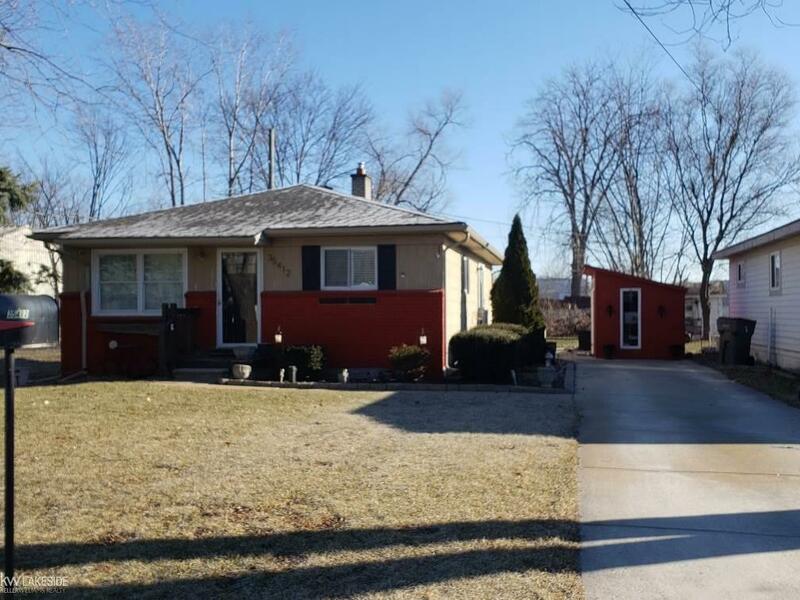 Delightful ranch has all of the updates - new 2018 roof, furnace, AC, H2O tank, windows, sump in crawl. The kitchen boasts tons of counter space, tumbled marble back splash and tile floor- refrigerator and range included, Updated bath with new vanity and surround. beautiful plantation shutters give the living room a high end finish. The yard is 150 deep with an AMAZING SHE SHED- windows and light make this outdoor living space a welcoming space for your guests, new patio has additional seating area, oversized shed in the backyard has amazing storage capacity. Perfect home for owner who wants to run a business or for a rental property. Zoning for the property is Light Industrial home is grandfathered in Cash or Conventional offers ONLY no FHA or VA due to non conforming zoning.